Manjaros delivers a sensational fusion of Caribbean and African cuisine. And now you can experience their delicious flavours and spices including their most popular dish Hotshot Parmesan for 20% less from Monday to Thursday when you show your Odeon cinema ticket. 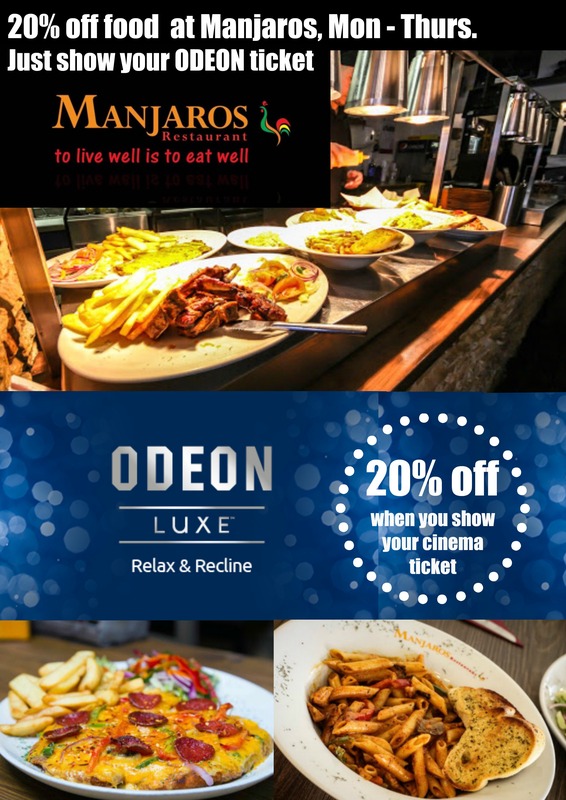 20% off your final bill when you show a valid Odeon Glasgow Quay cinema ticket. Offer only available Monday to Thursday.